Helmets like the Thorsten Darkened Spangenhelm grew in popular from the Late Antiquity into the Early Middle Ages. 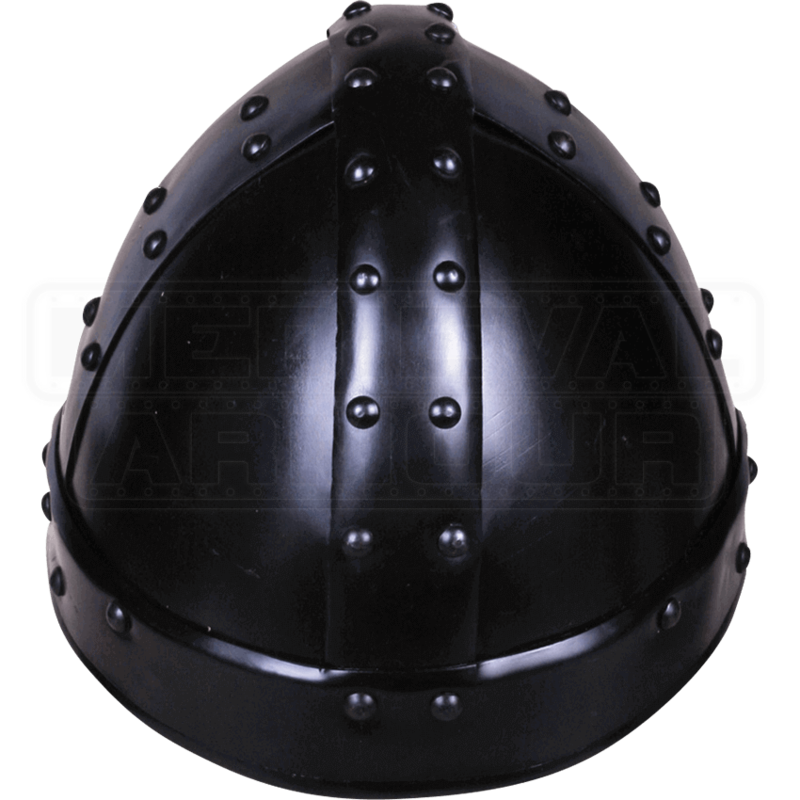 Fashioned from four or more strips of metal, or Spangen, these helms were simple to produce and effective in battle. 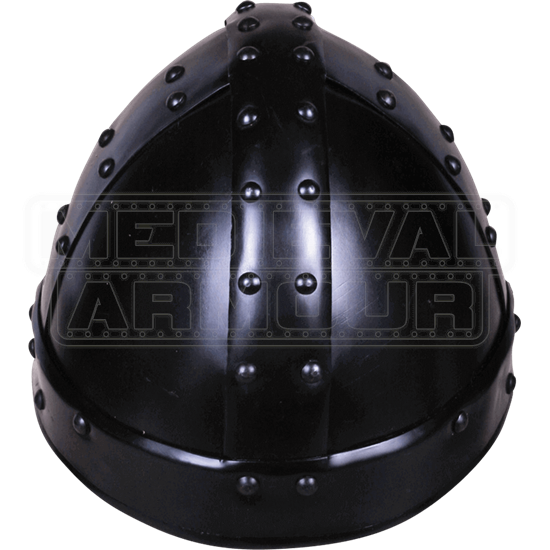 Handcrafted from 18-gauge steel, this Spangenhelm increases your defense during LARP or light training. It follows the classic conical shape with rivets lining the headband as well as the center bands that crisscross over the dome. The darkened finish is due to an electrochemical treatment, which aids in rust resistance.